It's 03:02 in Rajgród, Poland right now. 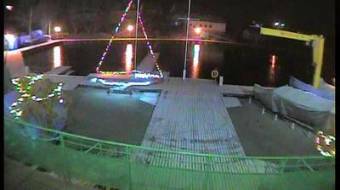 Yacht Club Arcus Live views of the marina. Bialystok: Kosciuszko Market, 45.6 miles away. Druskininkai: Druskininkai Musical Fountain, 55.4 miles away. Kaniūkai: View onto the Neman River, 72.1 miles away. Kaunas: Kaunas Town Hall Square, 94 miles away. Trakai: Trakai Castle, 109.8 miles away. Kaliningrad: Kneiphof / Königsberg Cathedral, 111.3 miles away. Lidzbark: Livestream Beach, 122.7 miles away. Vilnius: View from IMPERIAL Hotel Restaurant, 123.3 miles away.